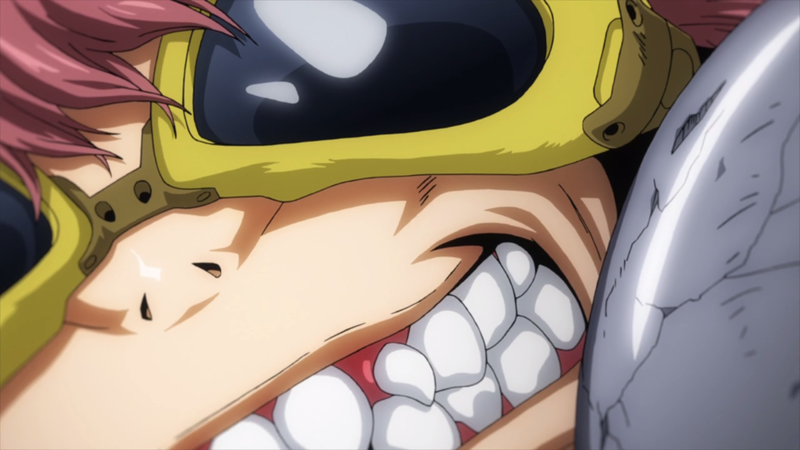 Who is this goggles-wearing character from the second My Hero Academia S3 intro? These shots are placed right after the title card, implying he's going to be a significant character in the Provisional License Exam arc, but I don't recall him actually appearing at any point. I waited until the final episode came out to ask this, just in case he showed up towards the end of the season, but as far as I can tell, he still hasn't. I check through the lists of MHA characters on both MyAnimeList and TV Tropes, and couldn't find him on either of them. Who is this guy? And if he didn't appear, or appeared so briefly that I forgot about him, what's the significance of his appearance in the intro? This character is a anime-only character, not appearing in the manga or an anime episode as of yet. Most likely just for something to look cool in the OP. Approximately when is the story of “Boku no Hero Academia” set? What is this OST in the 1st season of My Hero Academia? Boku No Hero Academia Season 3 Episode 17, the song that plays during the end scene? What's the name of the song from My Hero Academia season 3 episode 9? What's the name of this piano theme in My Hero Academia? Song from Ep 29/ S2 Ep 16 of My Hero Academia starting at 19:21? Is My Hero Academia: Illegals canon? Which manga chapter should I start to continue from season 3 of My Hero Academia?